For me, summer is time of shifting financial priorities. First of all, there is a lot to do, and from summer camps for my son to camping trips to summer holiday celebrations for the whole family, the demands on our bank account are different. First of all, you want to make sure that you are getting the best deal for travel. Now is the time to use loyalty rewards and credit card points to save money. You can also look for deals and discounts at your destination. Bailey also suggest that you consider how to minimize fees as you travel. If you take your debit card, Bailey recommends that you look accounts that will accommodate you. “Some banks offer accounts that reimburse out-of-network ATM fees — even internationally,” he says. Look for ways to save money on travel, and plan ahead of time to stay within budget. Are you still using the account you had when you were in college, or when you first married? Over time, people's needs change, and their bank accounts should change as well. Bailey points out that it can be a big mistake to have the “wrong” account, especially as you gear up for summer. If you are saving up for a vacation, you want to keep your money in a high-yield account that offers you more bang for your savings buck. You also need an account that doesn't charge you fee. “Find a bank account that meets your current needs by doing research online and asking questions at your local bank,” Bailey suggests. The summer is a popular time to get married. However, you don't want your wedding to ruin your summer budget. Re-assess your needs, and consider ways to save money. You can do this by simplifying matters, and also by looking for deals and discounts. Consider making part of your wedding do-it-yourself. You will also need to look at your partner financial situation. “Can merging finances help gain access to a premium account?” says Bailey. These accounts might be able to help you and your significant other better finance your wedding. Bailey also points out that you need to organize your finances and make a plan so that your shared finances don't run into problems as you both draw on accounts. You need to have a plan for that money so that you both know what is happening. 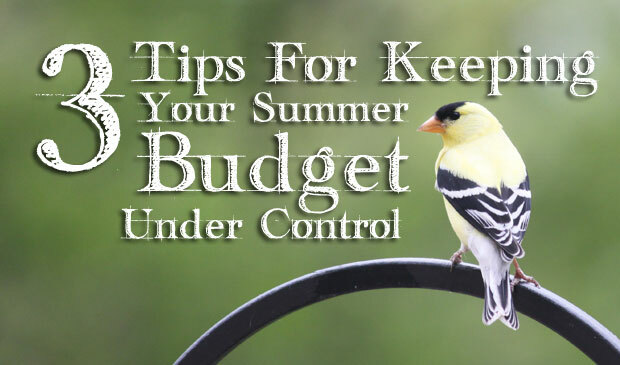 Summer can be a tricky time for your money, and it's vital that you plan ahead and look for ways to save if you want to avoid breaking the bank.